What can I do if I didn’t get a registration code? Situation 1: Check the confirmation email. Please wait a few minutes for the system to generate and activate the registration code after purchase successfully, then try again. Tips: If you purchase our product directly on our official website the registration code will be displayed on the Order Confirmation page. You can use the full version of your software once your order has been successfully completed. Situation 2: Retrieve the registration code via our online registration code retrieval system. Using this link, you need to submit your Licensed e-mail. If you fail to retrieve your registration information, contact us and supply us with your Licensed e-mail or the Order ID. Situation 3: If you buy our product from one of our resellers, agents, eBay, or the App Store, we will not have your order information in our system. 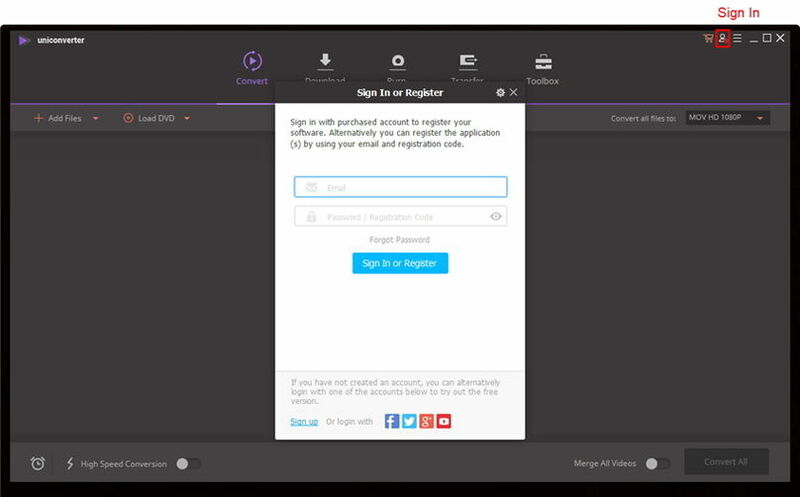 If you purchase from App store, you don't have to wait for a registration code. Just launch App store and go to Purchase tab, you can install the full version directly. 1. Order ID, Full name, email address on the order. 2. Name of the product(s) purchased, Date and amount of the charge and Name of the site the purchase was made on. 3. Transaction ID of Paypal or credit card. 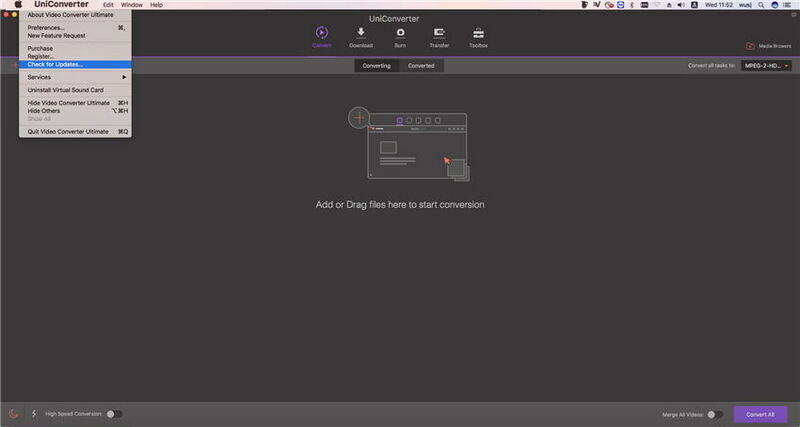 How Can I install and register in UniConverter (originally Wondershare Video Converter Ultimate)? What can I do if I fail to login Wondershare UniConverter (originally Wondershare Video Converter Ultimate)? If this does not solve your issue, you can contact us for assistance. To allow us to locate the problem quicker we would request that you include a screenshot of the registration window with the e-mail and registration filled in for further troubleshooting. If you receive keygen_error, that is to say, that product is not using code activation mode, you just need to log out and log in after you place the order. After that, you can enjoy all features without limitation. If you purchase the product from our agency, you may not retrieve the code as they don't share customer information with us. If you purchase the product from App store, you don't need a code, just launch App store and go to Purchase tab to use it directly. What can I do if my Wondershare UniConverter (originally Wondershare Video Converter Ultimate) fails to update? Step 1: Click on "UniConverter" on the top menu bar. Go to "Check for updates" to update manually. Step 2: In case above method is not working, you could go to our website and press Free Download. Or you could click the link below to upgrade to Wondershare UniConverter directly. 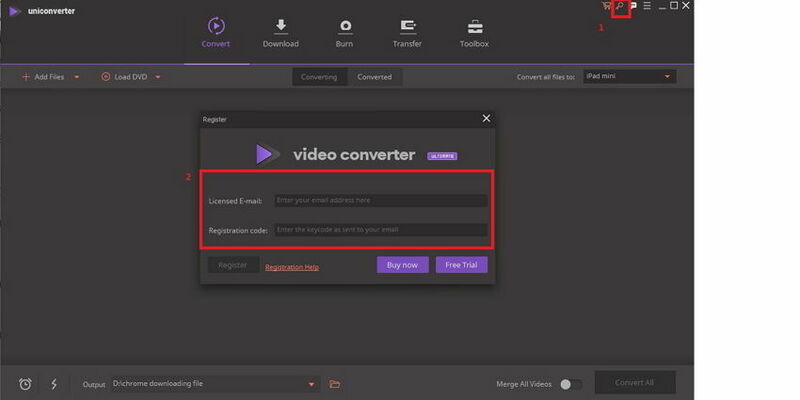 What are the main differences among Video Converter Free, Pro and Ultimate? 3. 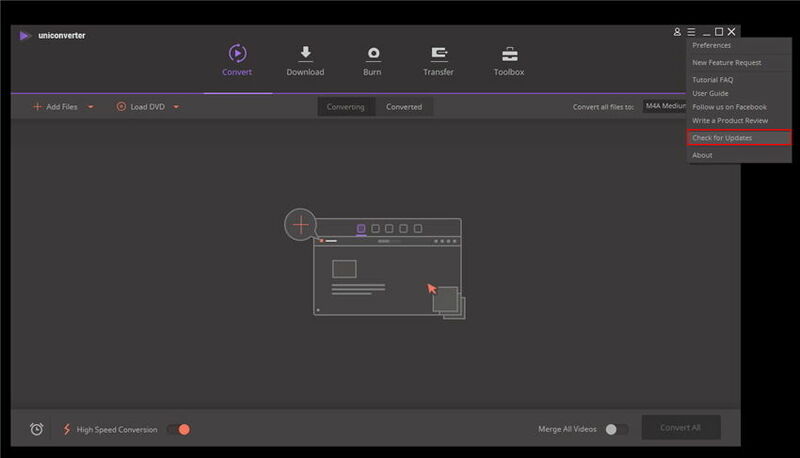 UniConverter has all the features of Video Converter Pro. In addition, it also supports converting DRM files as well as ripping&burning DVDs.